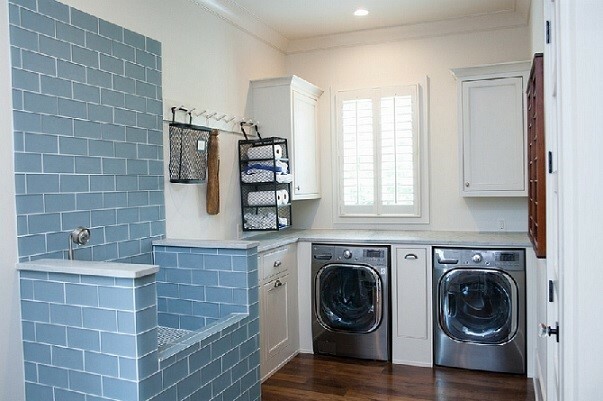 When it comes to designing homes, laundry room is one of the areas that is often overlooked. Perhaps, most of us are of the view it’s not as important as kitchens, bathrooms or other rooms. Unfortunately, this perception is the opposite of the reality. Considering the fact that some laundry rooms are also being used as mudrooms. This has doubled the duties and most certainly double the chaos! So it’s crucial that your laundry room should be functional, but what about beautiful? Whether, you have a small or big space for laundry room, ensure you make it both functional and beautiful. WHY? Well, let’s be honest, laundry isn’t something that most of us really look forward to but having a beautiful space to work surely lightens the load! Here are some ways professional Architecture Companies in Lahore believe you can design and organize a laundry room for style and efficiency. 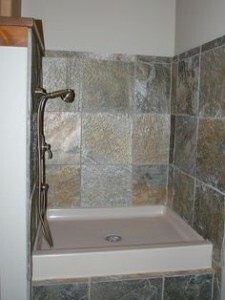 Typically, homeowners do not allocate much space for laundry rooms in home design. This often leads to storage issue. An easy way to resolve the problem is increasing the allocated space for the room. But, what if one doesn’t want to or have the space to increase? Get creative with spaces to add cabinets and shelving. Install narrow cabinets between or aside the dryer and washing machine to gain additional storage space. 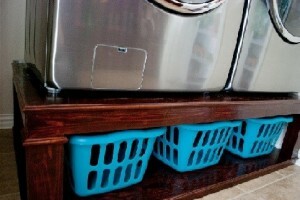 If that won’t do, then stack your washing machine and dryer over a custom-made wooden stand and place cloth bins, baskets and wooden crates under it to further boost your storage capacity. In addition, you can install an iron rod or suspend an old ladder along the roof to hang your clothes. In case, your laundry room is also used for mudroom tasks like dirty shoes, then adding a small shower area along with a drain is not a bad idea. Interior designers at AmerAdnan Associstes suggests, adding some nice tiles and a towel bar can aid you create an ideal washing area. Just like kitchens, laundry rooms also require work stations where various tasks like cleaning, ironing, folding and mending can be accomplished. 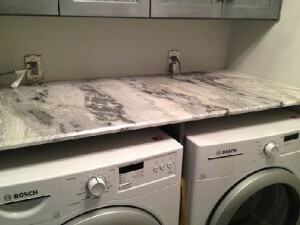 By adding a countertop to your laundry room, you can accomplish all these tasks in one place. Marble is the popular stone choice for such countertops, but there are plenty of options out there for you to choose from. Many homeowners in Pakistan are still unaware of the fact that hardware can give a room a whole new feel. You can give your laundry room an upscale and rustic feel by opting for copper or gold hardware. Choosing new styles of lighting fixtures is another way to add a little zing to a room. With pendent lighting fixture, you can achieve a completely different for look and feel of the laundry room. It will make your time in the room more amusing.